Earlier today, I made an official announcement: there’s a new historical fiction book published by Gazette665. With Gladness: A Christmas Story Collection is our second publication and is releasing this Friday…just in time for the holiday season. You can find lots of information here or order your signed copy in our store. We’re also starting something new…a third blog post each week. Look for them Wednesdays. 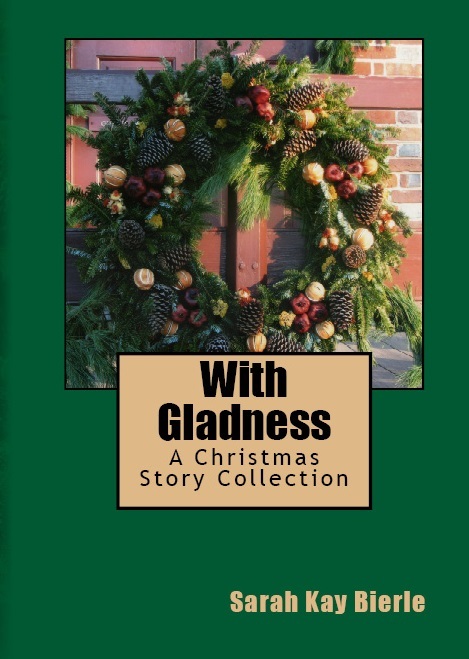 The series is “Christmas on Wednesday” and each article will highlight holiday celebrations and historical background on the stories in With Gladness. Today we’ll kick-off the series with a look at some Christmas traditions in Colonial America. 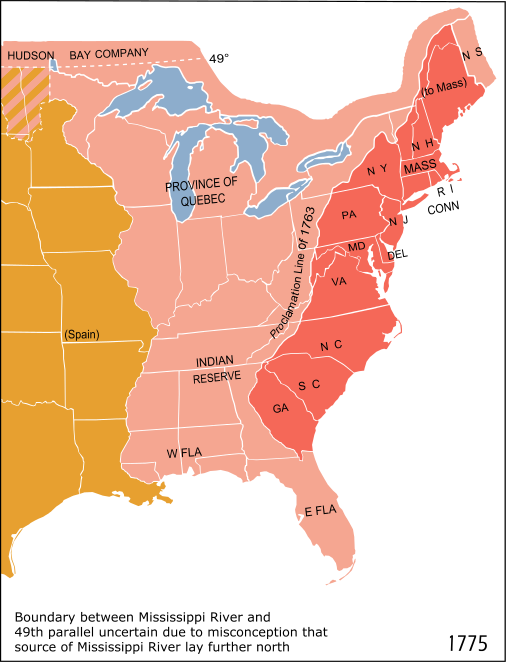 The colonial settlements grew and prospered, utilizing the natural resources to establish a trade economy with the mother country. Tradesmen and artisans moved to the colonies, and the cities became cultural and societal hubs. Colleges were established. Port cities flourished with Trans-Atlantic trade. Colonial government was usually a combination of crown-appointed officials (usually the governor) and elected officials from the colonial community. As colonial settlements grew and the capitals (or other large cities) prospered, people had time to “enjoy life.” Christmas – ever a popular holiday in England – was celebrated in the colonies, though it should be noted that strict Puritans tended to avoid the holiday. However, in middle and southern colonies were the Anglican or Catholic church was the leading religious institution Christmas was well-celebrated. Decorations were crafted from natural greenery, cones and pods, dried flowers, and fruits collected from the fields, woods, or gardens of Colonial America. In many ways, these decorations were a celebration of bounty and nature. Wreaths, swags, and garlands decorated the exterior and interiors of home, shops, and some public buildings. Fruits – usually apples and citrus – were accented with clove or other spices and added to the greenery decorations or set in a basket to fill the rooms with a spicy/sweet scent. Pineapples were a symbol of hospitality, especially in the southern colonies and were incorporated into the décor when the home/shop owners could afford them. Want to see some replicas of Colonial Christmas decorations? Try to visit Colonial Williamsburg, Virginia, or Washington’s home – Mount Vernon – during the holiday season. (I’m hoping to go some year!) Or if you live on the East Coast, see if there are any other Colonial Era homes in your area that decorate for Christmas. Can’t travel? Try websites. Colonial Williamsburg usually posts photos on their Facebook page or blog. Colonial Christmas decorations are probably my all-time favorite. Sure, Victorian era and modern is pretty (and we’ll talk about those in the coming weeks), but I love the simplicity reflecting from the colonial period. 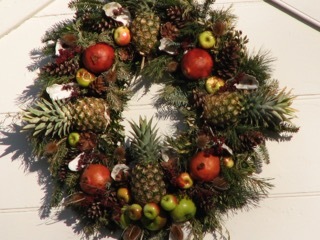 It’s marvelous how many natural treasures can be incorporated into the wreaths or garlands. 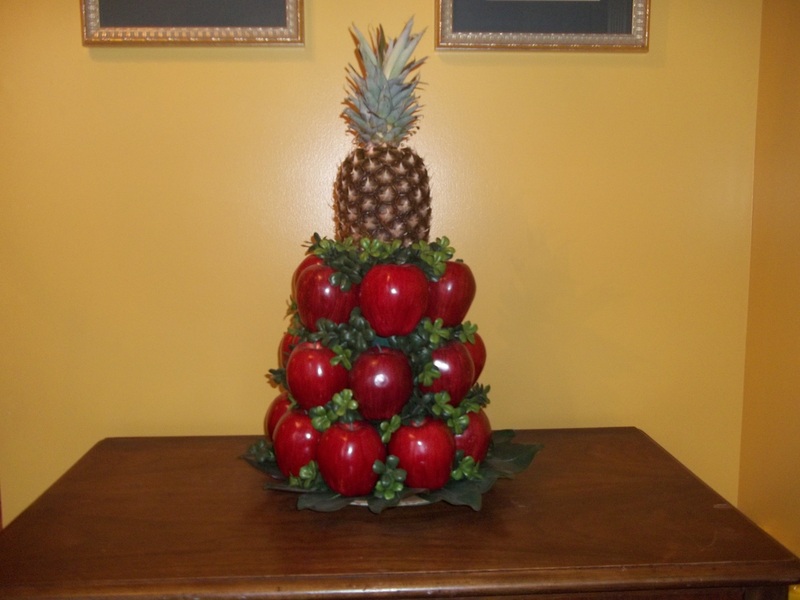 And what can surpass a traditional fruit pyramid? The decorations were crafted from woodland, field, and garden items because it was what was available in that era…and it didn’t have to be expensive. Wreaths, swags, garlands, and other traditional decorations reflect the ingenuity of early American settlers and their desire to celebrate and make Christmas part of their new land’s heritage. The Colonial Era story in With Gladness is “Great Joy” – the first story in the book. Read carefully and you’ll notice references to natural decorations in the town, at the farmhouse, and at church. In the main room, a warm fire crackled on the hearth. Evergreen boughs accented with rosy apples decorated the mantle. On the chimney, a wreath twined of dried vines featured a decorative display of dried orange slices and spices, filling the room with a homey scent. P.S. Do you like the colonial style of Christmas decorations?